The Built Environment is the human-made surroundings and layout in which we live, including buildings, parks, streets, bridges, and neighborhoods. Research has shown that the way neighborhoods and communities are created can have positive or negative effects on the physical and mental health of residents. Health is influenced as much by design of cities as it is by diet or medical care. Well-designed places engage, reduce stress, enhance learning, and allow those who become ill to heal faster and better. The relationship between health and built environments is not new. Many health challenges are directly related to transportation choices, land use patterns, infrastructure and accessibility. Improving built environments is an important part of the solution to today’s public health crisis. There is no better full health indicator than the degree to which a community is fully walkable. Walkable streets and neighborhoods maximize not only immediate access to active transportation, but also determine how often we take walks or go outside, how connected we feel to nature, how much we feel engaged and involved with others, how likely we are to volunteer, and influence many other positive health indicators. 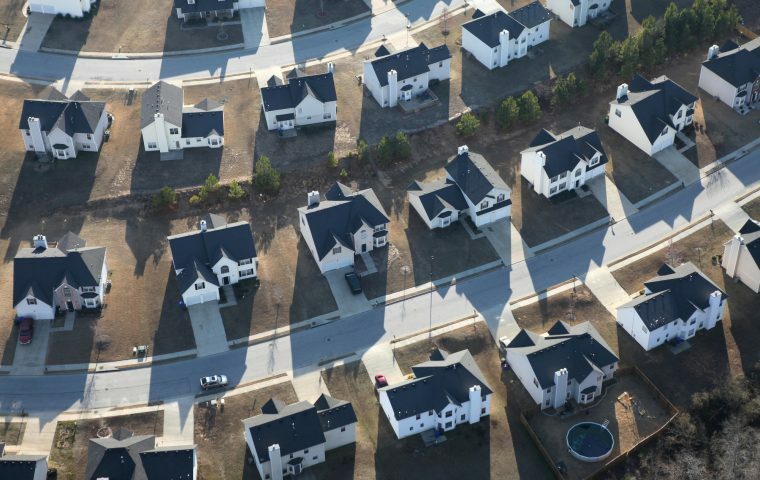 From a study published in the American Journal of Preventative Medicine : Residents of walkable neighborhoods weigh 6-10 pounds less than residents of sprawling neighborhoods. Donald Appleyard, a scholar and livability pioneer in the early 70s, measured the social impacts of traffic on neighborhood streets. He found that light-traffic streets with slow speeds and houses providing “eyes-on-the-street” (natural surveillance) helped knit a community together. In contrast, heavy-traffic streets actually ripped a community apart; people had fewer social ties. Light-traffic streets had residents with an average of three friends per person, heavy-traffic streets only 0.9 friends per person. Thirty years ago, 60 percent of elementary school students in America walked to school. Now, less than 15 percent of elementary kids walk to school. Research shows that children who walk to school are more alert and ready to learn. Health consequences of living socially isolated (feeling lonely) are dramatic. In too many communities nationwide, driving is the only safe and convenient transportation choice, which results in a larger population of children and elders who are at risk of isolation and inactivity. Poor transportation and land use practices have been shown to subtract 3-5 weeks of time each year from minority populations. Today, an average male will outlive his ability to drive by 7 years, women by 10 years (AARP). All of these practices add to the rise of health care costs. Health happens not just in your doctor’s office, but also as a result of the places in which you live, work, and play. Livability refers to the quality of life of an area; it is directly affected by the quality of built environments, especially integration of comprehensive transportation and land use systems. 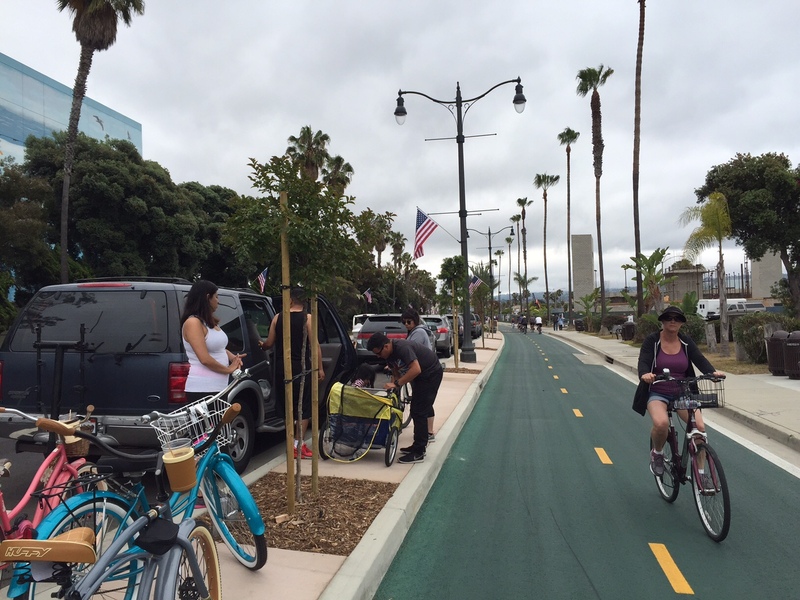 Streets are either attractive and safe for all users, or not. Streets encourage a variety of transportation options, including walking and bicycling, or they limit choice. Streets enable social interaction, or not. Streets put people at ease, feeling welcomed, or not. Everyone has different transportation preferences, but all road users share one mode at some point in their day—everyone is a pedestrian. Blue Zones recognizes that increasing and improving health requires far more than working on individual behavior changes alone. Today, health is often framed as something personal: what we choose to eat, what medicines we take, how often we take a walk, and whether we drink or smoke. Healthy people also need access to healthy environments at work, at school, and in the array of community settings where they spend the majority of their time. Health is also promoted by the ways people travel to and from these environments. 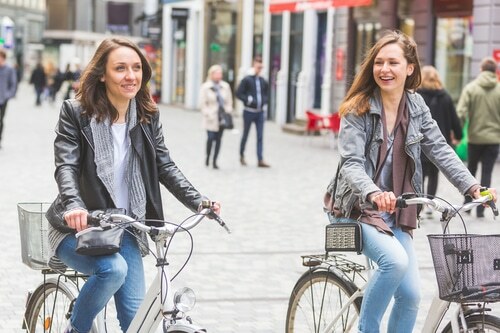 Changing built environments so that walking, biking, and using transit are natural and rewarding parts of peoples’ daily lives is not only good for individual health, but also community and environmental health by reducing costs, pollution, noise, congestion and especially greenhouse gases. Fortunately, these same measures lead to the most affordable, sustainable and resilient outcomes for building, maintaining and operating a community. To increase public safety, accessibility, equity and a community’s overall Well Being Index (WBI), measures (policies and practices) must be taken to reduce Vehicle Miles Traveled (VMT). States, counties, cities and towns reducing their VMT’s the most, thus shifting their mode shares, are moving toward health and wellness goals. Even small shifts in VMT levels can make funds available for vital active transportation and place making projects. Towns and cities need both financial capital and social capital. To build capacity and successfully implement change, we strongly advocate civic empowerment (i.e. participatory planning). For example, walking and biking audits encourage community-led planning with the combined knowledge of professionals, business leaders and “citizen-experts” (people in the neighborhood every day) who enrich the solutions and outcomes toward building healthier streets. Why is this important? The average citizen, although appearing content with the built environment they have come to dwell in, has become highly resistant to change. The easy things to get away with (strips, low density housing) have been built. Healthier choices – more compact, mixed-use and accessible communities – are unknown and unproven to many. Walls of resistance from uninformed residents and other stakeholders (including business people) are quick to put down any new idea or concept. Only a few voices can put down a great concept in front of an elected leader. Only by “lifting” the knowledge and interests of all people will communities bring about historically accurate, sustainable, healthy and workable towns. The principles below are timeless. Architect and author Christopher Alexander’s books, The Timeless Way of Building and Pattern Language, illustrate many of these principles, people’s common yearnings and intuitive use of scale of the human-foot to build congenial places to live. Kevin Lynch, in The Image of the City measures and shows how beauty and attraction follow complex, recognizable and replicable known forms. Town-making advocate David Engwitch emphasizes that throughout human history, the purpose of cities has been to maximize exchange of services, products, and goods, as well as culture, friendship, ideas, passion and knowledge. Good cities maximize our access to the things we need. Well-designed cities minimize time, distance and the labor of travel, while maximizing human happiness and well-being. Until the well-fueled and highly incentivized experiment known as the auto-age came into vogue, walking and transit always set the shape, scale, mix and magic of towns and cities. All were compact and well-patterned. Towns were not only built around physical needs of people on foot, but also on ways to maximize inter-generational interactions, community bonding and engagement. Throughout history, the need for security and freedom from emotional stress came first. Places were designed around beauty; they were meant to be fun and rewarding. Children were “free-range,” and elders were respected in the designs of their neighborhoods. Common sense was counter weight to imposed design; people were empowered to initiate improvements to their local neighborhoods, to enliven streets, parks and other civic spaces, the building blocks of thriving cities and towns. 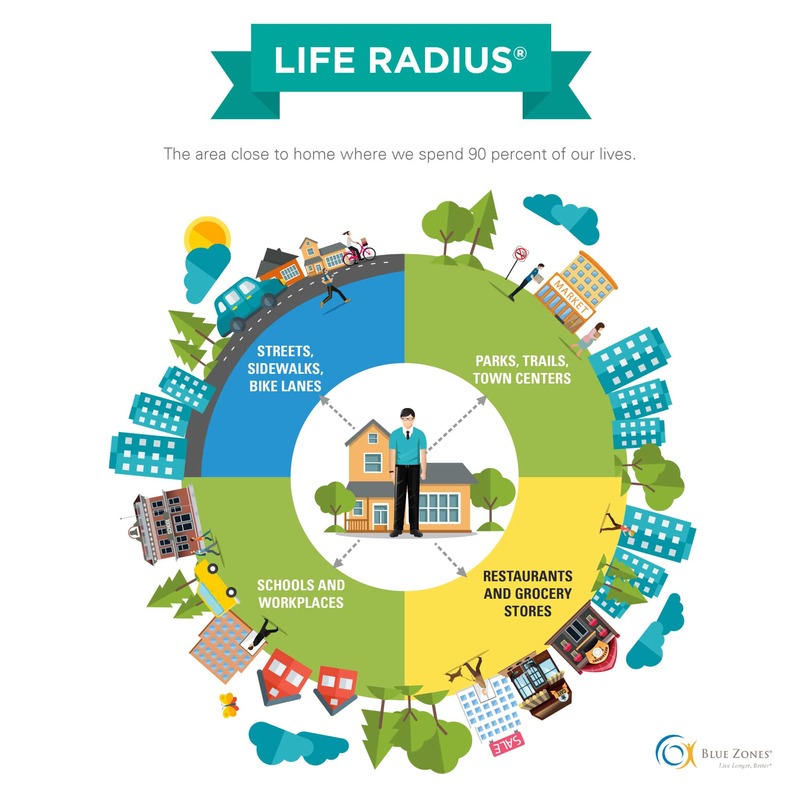 A healthy life calls for a compact life radius. At the heart of Blue Zones principles is the notion of life radius–the physical environment where 90-percent of an individual’s daily activities occur. The more compact the radius, the more time people are given to be with the healing wonders of family, friends and “tribal members.” As more people are “bumped into,” strangers are no longer strange, but novel characters appearing on the unique neighborhood stage. Inside a compact life radius, people celebrate living with complexity and stretching intellectually, leading to fuller, richer, more complete and meaningful lives. Inside this radius, comfort is achieved, creative thoughts spring to life, bonding and community building occur naturally. We measure much with walkability. Most urban scientists, designers and practitioners now measure their success around walking. We measure this success not only by the age range of those walking (and increase in numbers), but also by how many activities, services or necessities are provided within a 5-minute or 10-minute walk. A high walkability score often indicates added values on homes, and is directly related to happiness and desired social outcomes. As the world becomes more urbanized with increasing modern challenges/complexities, including climate change, communities need to empower citizens to collectively help direct unique shifts to make places healthier, active, green and democratic. The Blue Zones built environment team recommends these general guiding concepts, principles and patterns for designing and building model healthy communities. These guide the work that we do in both Blue Zones Project communities and in other cities across the country. These concepts and principles apply to communities large and small, new and old, and influence both individual and community health. All face similar challenges, but often of different orders of magnitude and resources available. These principles and processes are flexible; they can be adapted depending on scale and context of each project. People First. People, human-scale and quality-of-life trump speed and efficiency of autos. Designs and features of well-planned districts accommodate cars, but give greatest support and incentive to people on foot. Pedestrians receive highest support, followed by transit, bikes, freight, and then cars. Active Transportation is the Natural Choice. Walking and active movement are not only the natural choice, but the unavoidable choice. People walk and are active a minimum of one-hour per day, by design. High Bump-into-it-iveness. Mentally, emotionally and socially healthy people require full lives of rich and dynamic engagement. A diversity of people live at this location (diverse in lifestyle, economic and social levels). Bumping into others happens naturally, through design of streets, open buildings and beautiful public spaces. Each building, block, park, other element or system creates natural engagement. Social Engagement nearby. Layout and design of buildings and open spaces maximizes easy and natural mixing of people. No individual living in the community needs to walk more than 1000 feet to engage others in a public setting. Green Design. The built environment is in harmony with the natural environment by featuring biophillic designs. To the maximum extent possible, all people are surrounded by green environments, where they live, shop, work and play; and people do not have to walk more than 1000 feet to find a public gathering place. Trees and other natural elements are dominant features of all landscapes, helping address multiple needs of local aesthetics, environmental health, air quality and climatic (summer/winter) variations. Auto-Dependency is low to non-existent for many. Incentives for driving are no longer dictating the architecture and placement of buildings. Parking is un-bundled, metered and managed. Ideally, parking is placed at the edges, and most people enjoy walking to their vehicles as part of their more active lifestyles. Transit is Easy, Convenient and Comfortable. A variety of transit options and desirable walking routes to transit are featured. Options might include trolleys, trams, buses and water taxis. Intermodal stations are convenient, welcoming, comfortable and well connected. Transit is not just competitive to other modes, it makes possible, efficient, comfortable and enjoyable movement. Pavement is Minimized. Use of non-porous materials in streets, parking lots and other features is minimized. Potential water and pollution runoff, solar heat traps and auto-centric designs are minimized. Sustainable cities attracting the greatest number of new jobs, such as Seattle, now have an active “pavement to parks” program. Paths (and low-volume streets) lead to activity centers, transit stops and other places of reward. Alignment of streets celebrates landmark places (natural and man-made). Individuals find it comfortable, easy, rewarding and memorable to walk, bike and travel to featured landmarks. Open Space. “Cities should not contain parks; parks should contain cities.” – Frederick Law Olmsted To the maximum extent feasible use nature to define districts. 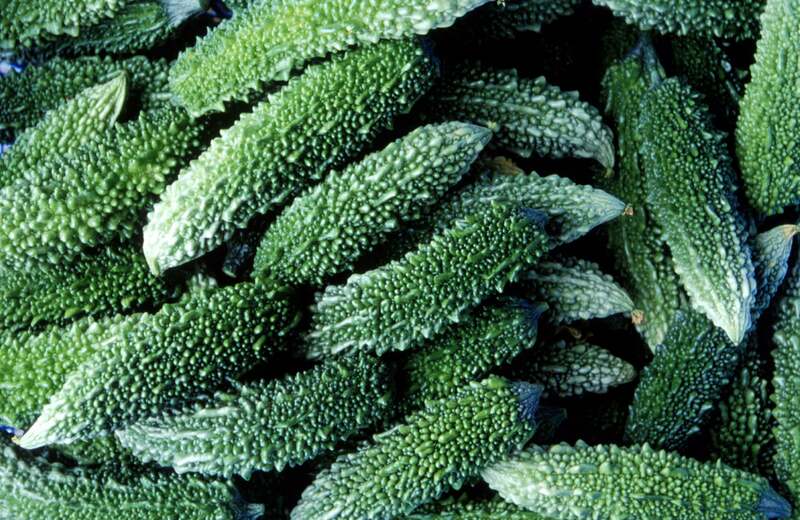 Recreational Experiences happen naturally. Places for play and social exchange are convenient, but natural play, rich in discovery, is also featured in streetscapes, parks, along trails or in plazas. Organized sports are accessible by trails and placed on perimeters, so these organized play fields do not overly-consume precious land and resources. Parking is on-street, not in the park. Street Making. Use transportation to build the community, not divide it. Build streets to add value and livability to adjacent properties. 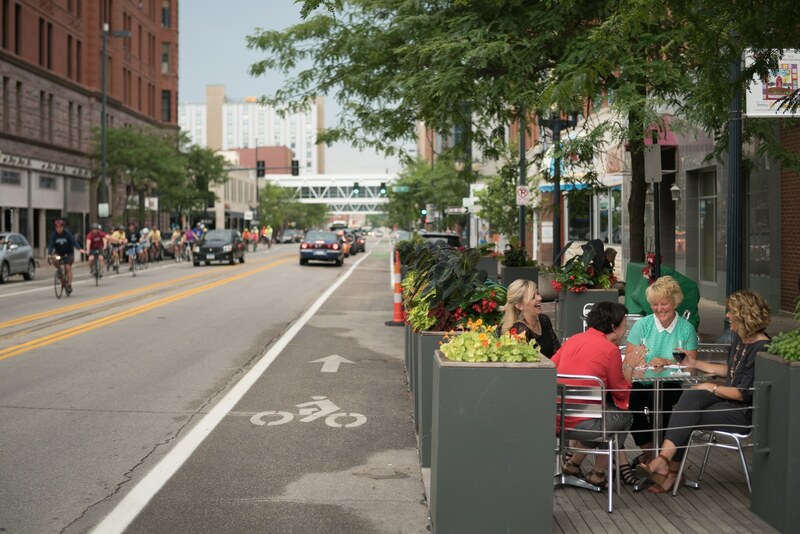 The first priority of commercial streets is to maximize retail and social exchange. Example of a Blue Zones street transformation in Fort Worth, TX. If you build a place for cars, it will be a gathering place for cars. If it’s for people, it will be a gathering place for people. “Here it is,” he said. “Thousands of candles can be lit from a single candle…” His fire lit the fire in me. He’s an arsonist for getting people to get out of their cars and be a community again. Dan opened our eyes; It was a transformative way to see the public realm. Now we’re the guardians of that.